The weather in LA has been pretty bipolar, but I’ve been preparing for cooler days by updating my wardrobe for fall and winter. Summer is definitely my favourite season, but I do love layering and dressing up for the holidays… which is my motivation to look forward to the cooler months 🙂 If you’re also looking to update your fall wardrobe, here are 10 wardrobe pieces to add to your closet this fall! This has been a popular item worn this summer, but one thing I really love about these skirts is that they look awesome with booties and tights underneath as well! I cannot live without booties this time of year. They go well with jeans, leggings, and tights, and can also be worn with high socks for an extra oomph. These are great alternatives to jackets and the everyday sweater. I love having a comfy blanket draped over me as I work during chilly mornings, so a poncho blanket is perfect for me to wear to any workspace! Long socks are super comfy & warm under boots. They can be worn as they are designed to wear – long, with longer boots, or can be scrunched down by the ankles for added texture with booties. Maxis are definitely one of my favourite things to wear because they are so comfortable & effortlessly chic. Dresses can be layered on with a cozy jacket, while skirts can be worn with your favourite long sleeve shirt or sweater. Maxis also do a great job lengthening your body, even when you choose to wear flats (though you’ll look way taller with heeled shoes, of course)… which is always a bonus! These are great layering pieces. I love wearing them with denim or leggings, and boots! Scarves are must-haves on windy days. 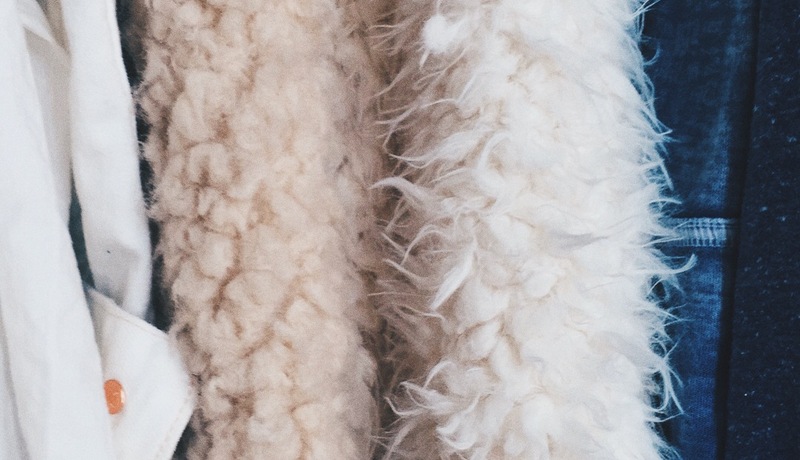 I bought a sherpa scarf from Urban Outfitters last year and cannot wait to wear it again once it gets cold! It is so soft and adds unique texture to my fall looks. Those of you who know me know that I’m a fan of wearing rompers in the spring/summer months! They are just so easy to throw on and you don’t really have to worry about putting together an outfit on those lazy days. Jumpsuits are the fall/winter equivalent and can be easily dressed up with a jacket, nice shoes, and other accessories or jewelry. Hope this serves as inspiration for your next shopping trip for fall clothing! Are there any other fall must-have pieces that you’ll be adding to your wardrobe this fall? Hi Alissa! 🙂 I totally agree! Summer is my favourite season because I prefer sunny days, but I do love layering clothing in the fall/winter. It’s actually back to hot weather in LA… we had a weekend of cold and now it’s literally back to summer! I can’t wait until the weather stabilises a bit. I caught a cold this weekend because of the drastic weather change! Long socks are the best!! I love the way they look. I should probably wear them a bit more, haha! These are all great fall pieces – loving those maxis you picked! Yes!! I love long socks, especially the ones with texture! It makes a basic, everyday outfit look all the more interesting 🙂 Unfortunately, it is still scorching right now so I haven’t really gotten a chance to wear any of my fall pieces! I do hope it cools down some so it starts to actually feel like fall… consistently 😐 haha!